"While XTANDI is currently approved for both metastatic and non-metastatic CRPC, there still remains a need for more treatment options for men with metastatic hormone-sensitive prostate cancer"
TOKYO & NEW YORK--(BUSINESS WIRE)--Astellas Pharma Inc. (TSE: 4503, President and CEO: Kenji Yasukawa, Ph.D., “Astellas”) and Pfizer Inc. (NYSE: PFE) today announced that the Phase 3 ARCHES trial evaluating XTANDI® (enzalutamide) plus androgen deprivation therapy (ADT) in men with metastatic hormone-sensitive prostate cancer (mHSPC) met its primary endpoint, significantly improving radiographic progression-free survival (rPFS) versus ADT alone. The preliminary safety analysis of the ARCHES trial appears consistent with the safety profile of XTANDI in previous clinical trials in castration-resistant prostate cancer (CRPC). Detailed results will be submitted for presentation at an upcoming medical congress. 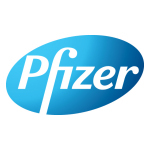 The Phase 3, randomized, double-blind, placebo-controlled, multi-national trial enrolled 1,150 patients with metastatic hormone-sensitive prostate cancer (mHSPC) at sites in the United States, Canada, Europe, South America and the Asia-Pacific region. Patients in the ARCHES trial were randomized to receive XTANDI 160 mg daily or placebo and continued on a luteinizing hormone-releasing hormone (LHRH) agonist or antagonist or had a history of bilateral orchiectomy. The ARCHES trial included patients with both low- and high- volume disease and both newly diagnosed patients with mHSPC and patients who had prior definitive therapy and subsequently developed metastatic disease. The trial also included some patients who had received recent treatment with docetaxel for mHSPC, but whose disease had not progressed. The primary endpoint of the trial was radiographic progression-free survival (rPFS), defined as the time from randomization to the first objective evidence of radiographic disease progression as assessed by central review, or death, whichever occurs first. For more information on the ARCHES (NCT02677896) trial go to www.clinicaltrials.gov. The information contained in this release is as of December 20, 2018. 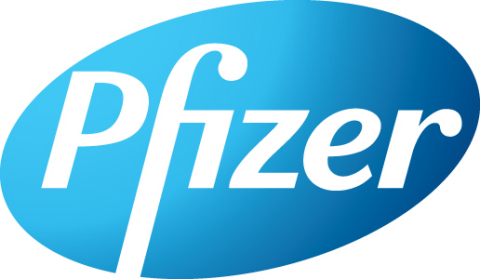 Pfizer assumes no obligation to update forward-looking statements contained in this release as the result of new information or future events or developments. This release contains forward-looking information about XTANDI® (enzalutamide) and potential new indications being evaluated for the treatment of men with metastatic hormone-sensitive prostate cancer and the treatment of men with high-risk non-metastatic hormone-sensitive prostate cancer, including their potential benefits, that involves substantial risks and uncertainties that could cause actual results to differ materially from those expressed or implied by such statements. Risks and uncertainties include, among other things, uncertainties regarding the commercial success of XTANDI; the uncertainties inherent in research and development, including the ability to meet anticipated clinical trial commencement and completion dates and regulatory submission dates, as well as the possibility of unfavorable clinical trial results, including unfavorable new clinical data and additional analyses of existing clinical data; the risk that clinical trial data are subject to differing interpretations, and, even when we view data as sufficient to support the safety and/or effectiveness of a product candidate, regulatory authorities may not share our views and may require additional data or may deny approval altogether; whether regulatory authorities will be satisfied with the design of and results from our clinical studies; the risks associated with interim data; whether and when drug applications for any of the potential new indications for XTANDI or any potential indications for XTANDI may be filed in any jurisdictions; whether and when regulatory authorities in any jurisdictions may approve any such applications, which will depend on the assessment by such regulatory authorities of the benefit-risk profile suggested by the totality of the efficacy and safety information submitted and, if approved, whether XTANDI for any such potential new indications will be commercially successful; decisions by regulatory authorities regarding labeling, safety, and other matters that could affect the availability or commercial potential of XTANDI, including for the potential new indications; risks related to increasing competitive, reimbursement and economic challenges; dependence on the efforts and funding by Astellas Pharma Inc. for the development, manufacturing and commercialization of XTANDI; and competitive developments. 1 Data on file. Northbrook, IL: Astellas Inc.
2 American Society of Clinical Oncology. ASCO Answers: Prostate Cancer (2018). https://www.cancer.net/sites/cancer.net/files/asco_answers_guide_prostate.pdf. Accessed 11-13-2018. 3 Cancer.net. Prostate Cancer: Types of Treatment (03-2018). https://www.cancer.net/cancer-types/prostate-cancer/types-treatment. Accessed 11-7-2018. 4 Scher HI, Solo K, Valant J, Todd MB, Mehra M et al. Prevalence of Prostate Cancer Clinical States and Mortality in the United States: Estimates Using a Dynamic Progression Model. PLoS One. 2015; 10(10): 1-2. 5 Siegel RL, Miller KD, Jemal A, Cancer statistics, 2018. CA Cancer Journal for Clinicians. 2018;68:7–30.